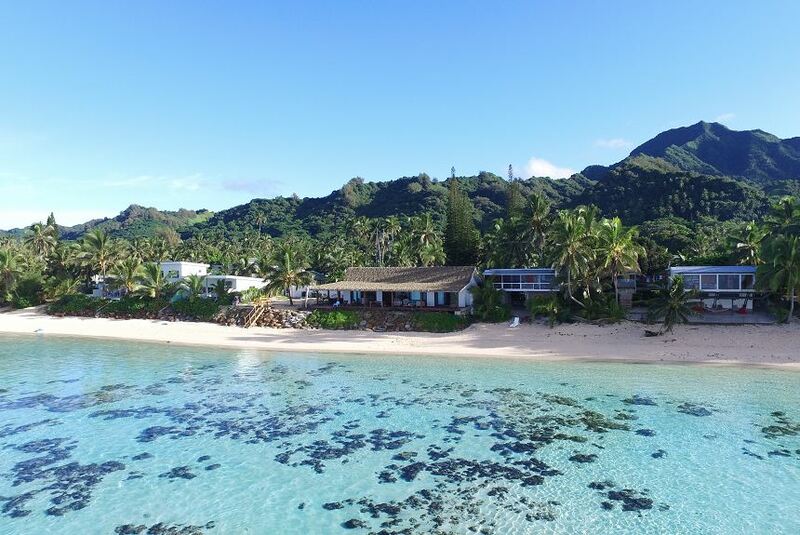 Aramoana on the beach is a brand new property situated on the southern side of Rarotonga in the Titikaveka district, just in front of the lovely Avaavaroa Marine Reserve an offering and exclusive dream holiday overlooking at absolute beachfront view of Avaavaroa lagoon & Pacific Ocean. The property is elevated about sea level to provides an amazing view of the waterfront and ocean in the distance and has a selection of 3 bedrooms which includes 1 lagoon front master bedroom and 2 ocean view rooms, accommodating up to 6 guests. The lagoon front master bedroom features a super king bed, double wardrobe, air conditioning, private en-suite shower room with a patio and outdoor furniture to enjoy the lagoon view. The ocean view rooms feature a queen bed, double wardrobe, air conditioning, shared en-suite between the both rooms and an outdoor shower. In addition, has a full kitchen, lounge area, large deck with an outside 2 dining tables, bbq, outside lounge and sun lounges to enjoy!